A retrospective of an artist's work gives the viewer insight into their creative process over an extended period of time. 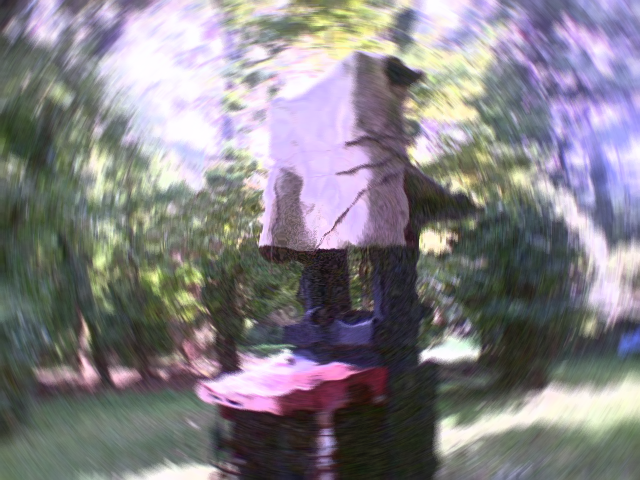 In some cases, a retrospective seems to allow access into the artist's mind. NOTE: the artist encouraged photography and tagging of his work. This exhibition brings together works made since the early 2000s as well as major new installations created specifically for this presentation. It sheds light on subjects as varied as the distinct nature of Canadian identity, the rise of utopian ideas, the power of words, the ubiquitous presence of digital technologies, the emerging culture of fear and the unshakeable nature of one’s own constitution—ideas that Coupland examines with both optimism and some trepidation. 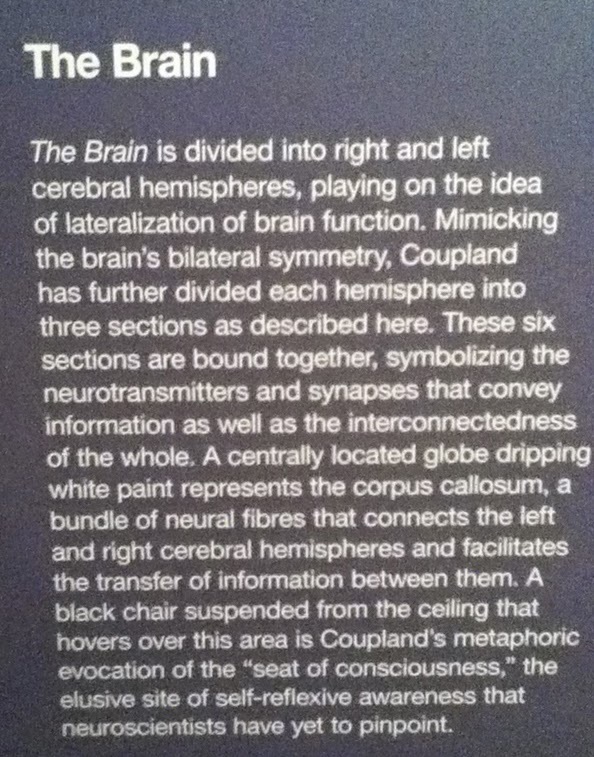 The retrospective at the Vancouver Art Gallery is divided into six parts, culminating in The Brain. Its impact as a work of art is more effective in the context of what came before it, including a meditation on the distinctiveness of Canadian Identity. 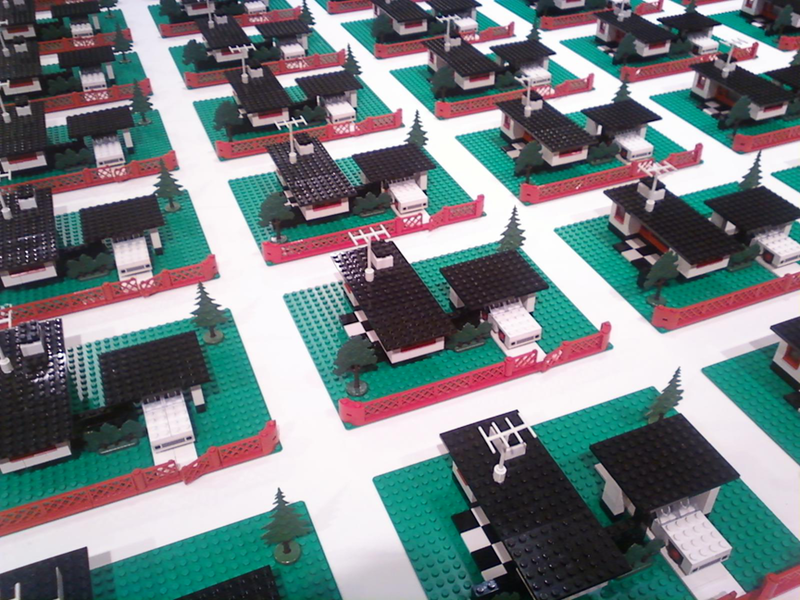 Another section examined youth and the optimism of an earlier era: Growing Up Utopian as depicted in Lego blocks. 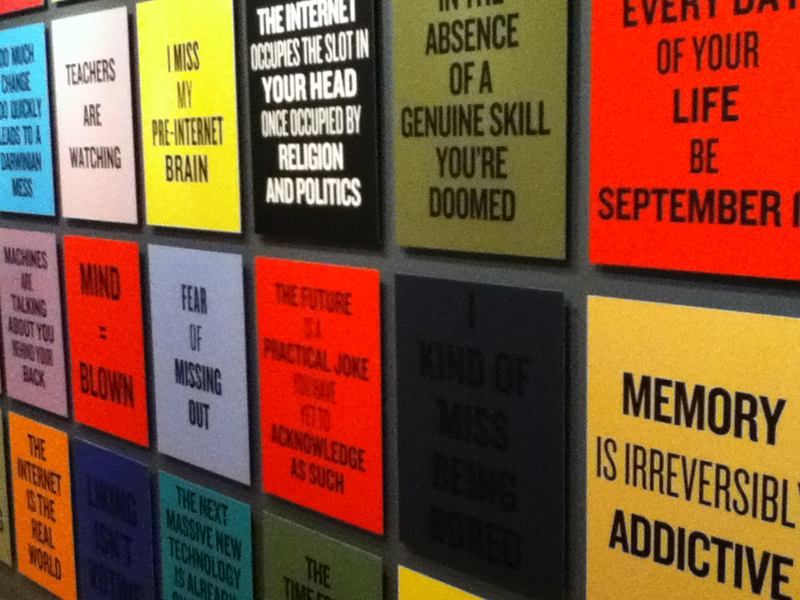 The highlight of Words Into Objects is a room of slogans and aphorisms on colorful posters, reminiscent of Jenny Holzer or Barbara Kruger but with a distinctive focus on the internet and technology. 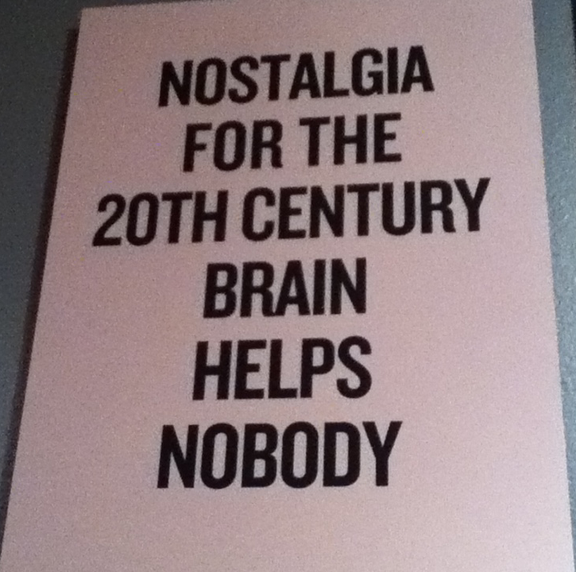 Douglas Coupland, Slogans for the 21st Century (2011-2014). Returning to The Brain, the massive collection of objects from thrift stores, garage sales, and eBay appeared mighty close to hoarding, in my view. 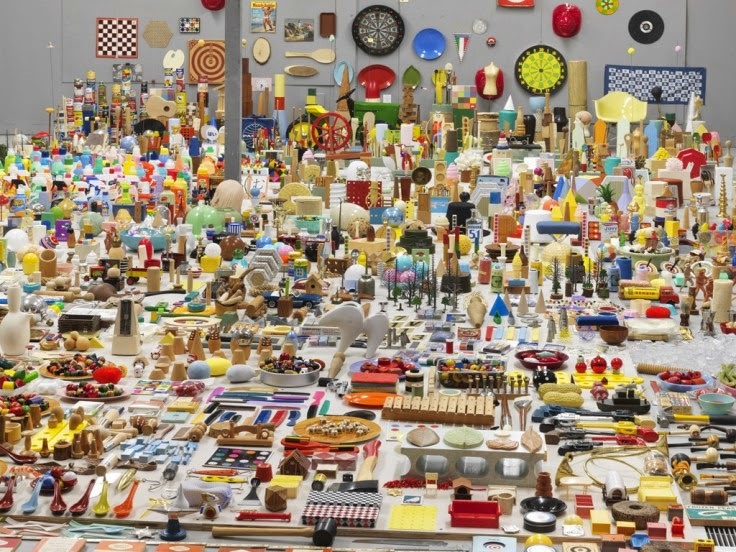 But where is the border between collecting and hoarding objects (e.g., televisions)? Is there a difference if you're hoarding for artistic purposes? 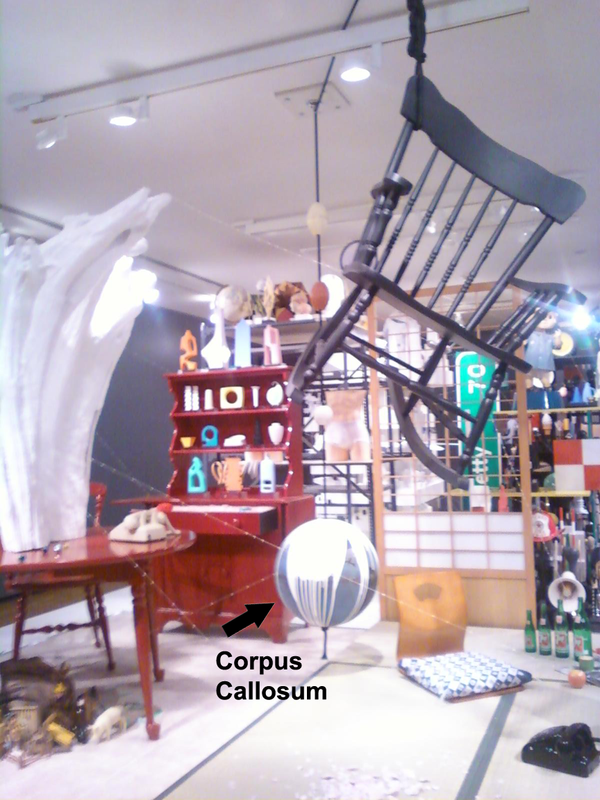 Materials used in the The Brain, 2000–2014, mixed-media installation with readymade objects [NOTE: prior to arrangement]. Courtesy of the Artist and Daniel Faria Gallery. Photo: Trevor Mills, Vancouver Art Gallery. Waste Not—or wu jin qi gong in Chinese—describes the philosophy of life for a generation of people in China, of which Song Dong’s mother was a part, who grew up during the Cultural Revolution with the experience of displacement, poverty and the constant shortage of goods. 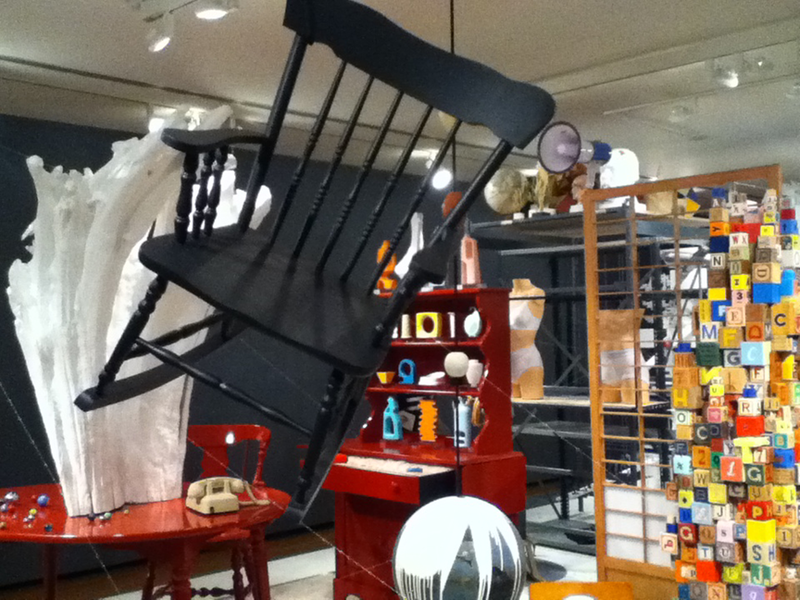 The installation stands as a record of his mother’s life, as well as a tribute to his father’s death. ...Carefully sorted, arranged, and displayed in the gallery, along with the wooden frame of one of the rooms of her house, these objects include everything from cracked wash basins, chipped tea cups, old radiators, and burnt-out light bulbs to flattened toothpaste tubes, yellowing newspapers, ripped nylon stockings, and empty containers of every description. And all in startling multiples. 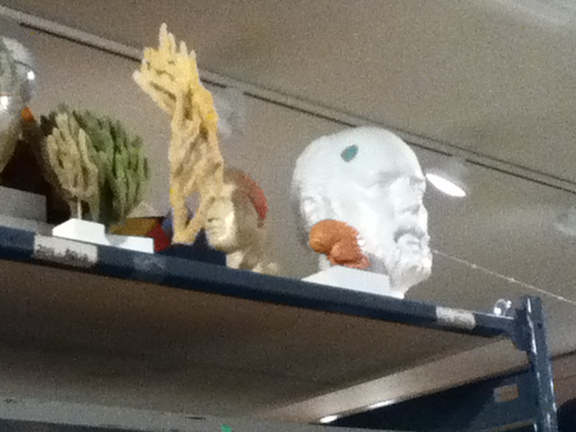 The purpose and impact of The Brain was quite different, however. 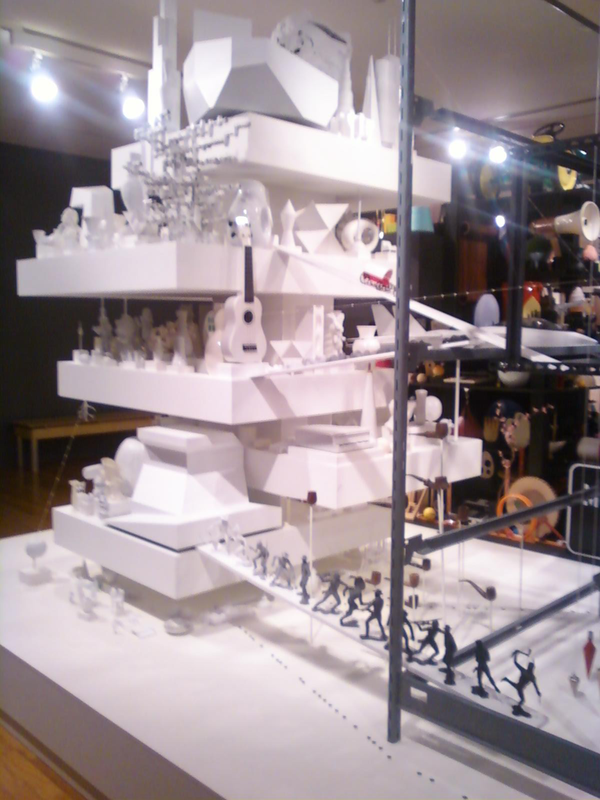 Much of the collection was whimsical and idiosyncratic, with the metaphorical layout designed to represent the contents and organization of Coupland's physical brain, incomprehensible to all but the artist. Without reading the gallery notes, the viewer struggles to find meaning in the chaos, and would miss out on pieces like the amusing Seat of Consciousness (“the elusive site of self-reflexive awareness that scientists have yet to pinpoint”). Highways and byways of The Brain. 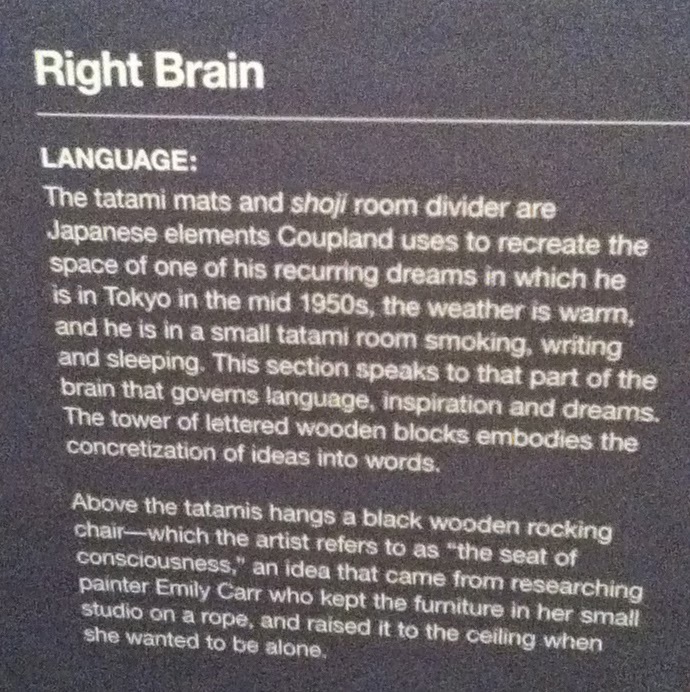 The “corpus callosum” divides the installation into left and right hemispheres, which is clearly an overarching metaphor not intended to be accurate [presumably].1 So we can excuse the artist for placing Language in the Right Brain, because his purpose here isn't a veridical (or even stylized) rendition of the brain destined to win the Brain Art Competition 2014. It's more like the struggle for an external representation of memories, an exploration of why he is who he is. And for this reason it's deeply personal, and at the same time a reflection of a specific culture and era. Note the aqua-colored Stroop banana. In total, the effect on the viewer is overwhelming and disorienting, and yet exhilarating (particularly in hindsight). Objects from Coupland's memory bank here bleed into the signage structures, awaiting information as to where they will be routed. 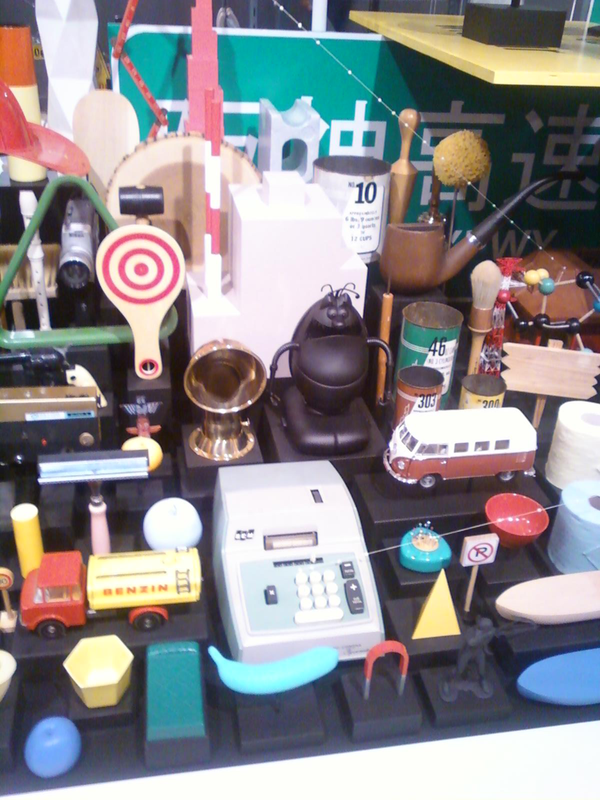 The overall effect is surrealistic and can be interpreted as a snapshot of Coupland's thinking. And here he captures the challenge of the “hard problem” of consciousness that has confounded scientists and philosophers alike. 1 It's possible that Coupland is left handed and had a Wada test to demonstrate right hemisphere dominance for language, but this is highly unlikely. 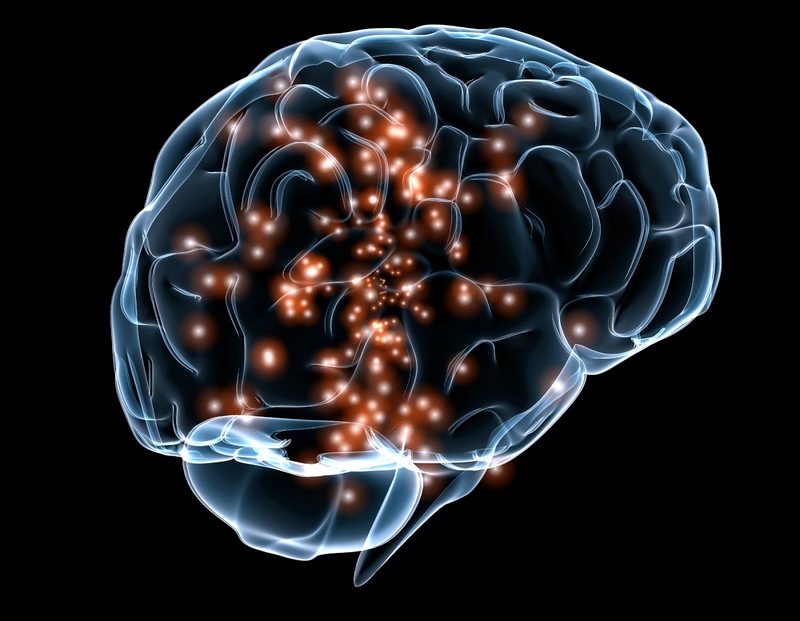 Neural prosthetics, brain-computer interfaces (BCI), “closed-loop” deep brain stimulation (DBS) devices, and a world without human brain disorders. The first three of these are already here... is the last one possible? Lest you think such speculation is limited to those wacky transhumanists, respected neuroscientists Kent Berridge and Morten Kringelbach have written seven reviews on the neuroscience of happiness and pleasure and well-being. In contrast to the vegan and animal rights supporter Pearce, however, Berridge & Kringelbach (e.g., 2012) see animal research as the key to unlocking the brain mechanisms of human pleasures. Sure, we have BRAIN 2025 and the DARPA deep brain stimulation awards. But we're getting ahead ourselves here, aren't we? Using neuroscience to alleviate human suffering takes precedence over the attainment of “a sublime and all-pervasive happiness” in wealthy Western post-industrial societies (doesn't it)? Doesn't it?? There used to be a blog called Neurofuture (“Brain Science and Neofuturism”), written by Sandra K. It covered topics like HedWeb and neuroscience nanotechnology and NeuroArm and the Blue Brain Project back in 2006-2007. Since February 2012, there's been an unrelated NeuroFuture twitter feed @NeuroFutureNews (“Mind-blowing tweets! Follow me if you are interested in brain, bionics, BCI, robotics and mind-controlled news”). A guy named wolfgang berke has had the @neurofuture account since March 2010, but he hasn't tweeted once. Thought leaders in research, engineering, industry, and clinical domains will explore how the intersection of neurotechnology innovations in neuromodulation, brain mapping, neuroimaging, big data analytics, and brain computer interfaces will transform our understanding of neural systems and enable life-changing medical treatments. Dr. Andres Lozano from the University of Toronto will kick off the NeuroFutures summit with a talk on “The Future of Brain Stimulation: Parkinson’s, Depression, Alzheimer’s and beyond" (see his related TED Talk here). Afterwards, he will discuss his work with science educator and author David Heil, and field questions from the audience. Organizational and industry sponsors include Center for Sensorimotor Neural Engineering, Allen Institute for Brain Science, Cyberonics, and Neurotech Business Report,3 among others. Problem: One in four U.S. adults suffer from a diagnosable neurological disorder and a quarter of these are seriously disabled as a result. These patients endure immense physical and emotional suffering, and their family members and caregivers bear a heavy emotional and financial burden. 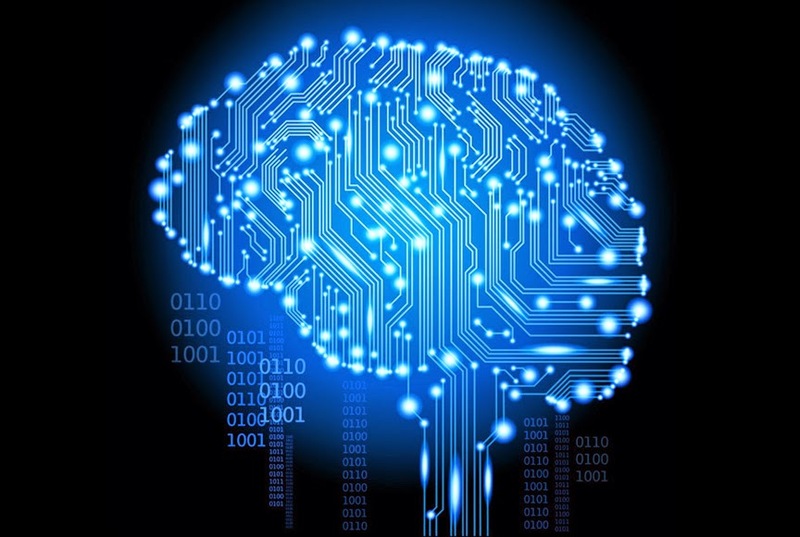 From a scientific standpoint, the human brain is the most sophisticated computing system in the known universe, and we are only starting to understand how it works. So what will it be... better living through chemistry (pharmaceuticals), biotechnology, or engineering? With conference sessions on BCI and Neuromodulation Innovations, Learning, Plasticity, and Adaptation in Neural Interfaces, and The Past, Present, and Future of Closed-loop Neuromodulation, one might think it's a great time to be a Neuroengineer at places like the Center for Sensorimotor Neural Engineering, the Brain-Machine Interface Systems Laboratory, and the Neural Prosthetic Systems Laboratory. Good domains for a better world? 3 Neurotech Business Report was the first to break the news about the failed BROADEN clinical trial for treatment-resistant depression, and they've continued their close coverage of the neuromodulation market. Figure 1. Pleasure Cycles (Berridge & Kringelbach, 2012), from Building a neuroscience of pleasure and well-being. Work on DARPA’s Systems-Based Neurotechnology for Emerging Therapies (SUBNETS) program is set to begin with teams led by UC San Francisco (UCSF), and Massachusetts General Hospital (MGH). The SUBNETS program seeks to reduce the severity of neuropsychological illness in service members and veterans by developing closed-loop therapies that incorporate recording and analysis of brain activity with near-real-time neural stimulation. The program, which will use next-generation devices inspired by current Deep Brain Stimulation (DBS) technology, was launched in support of President Obama’s brain initiative. UCSF and MGH will oversee teams of physicians, engineers, and neuroscientists who are working together to develop advanced brain interfaces, computational models of neural activity, and clinical therapies for treating networks of the brain. The teams will collaborate with commercial industry and government, including researchers from Lawrence Livermore National Laboratory and Medtronic, to apply a broad range of perspectives to the technological challenges involved. That modest quote jumped out from the Preamble to the BRAIN Working Group Report to the Advisory Committee of the NIH Director. A decade-long $4.5 billion project that focuses on technology development and neural circuits in model systems will change government, society, and human interactions forever. It's a manifesto, so why not aim big? In any project, decisions must be made about where to focus. Neuroscience addresses brain function from the level of molecules to the level of psychology, and at many levels in between. This plan for the BRAIN Initiative proposes a concerted attack on brain activity at the level of circuits and systems, rather than suggesting incremental advances in every area. All areas of neuroscience are important, however, and the BRAIN Initiative should therefore supplement, not replace, existing efforts in basic, translational, and clinical neuroscience. I went on this trip once, back to my hometown after a long absence. Have you ever felt that your surroundings seem odd and distant, and that you're completely detached from them? That the things and places around you aren't real? This can happen to me, on occasion. It did on this trip, perhaps because I've dreamed about those places so many times that the real places and the dream places are blurred in memory. Of course time marches on. The stores in the strip mall have changed, and you go to Starbucks with your father. 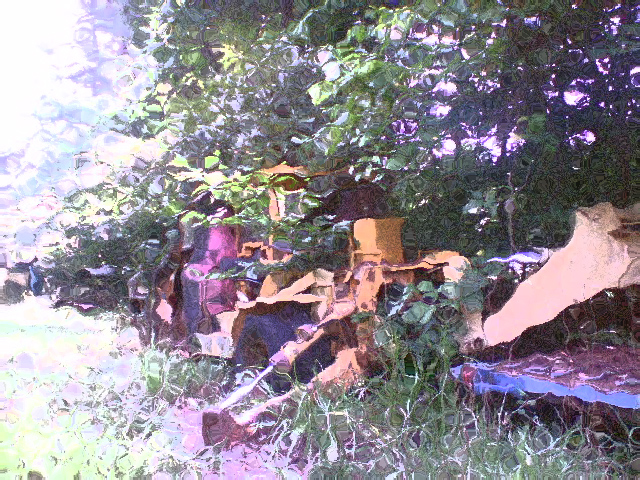 But sometimes new and surprising things appear in the landscape. Or maybe old and unexpected things pop up in the background, renewing a long-standing confusion between rural and suburban. These nostalgic travel vignettes illustrate the phenomenon of derealization, a subjective alteration in one's perception or experience of the outside world. The pervasive unreality of the external environment is a key feature, along with emotional blunting. The world loses its vividness, coloring, and tone. 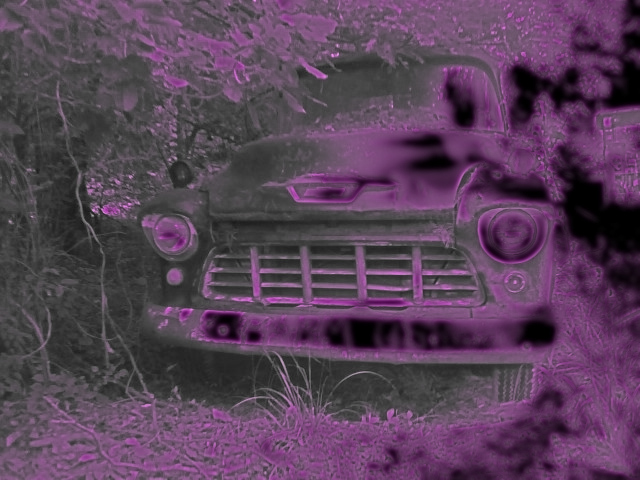 Some even report seeing things as if they're looking through a fog or a haze. Or a pane of blurry glass. Derealization is often (but not always) associated with depersonalization, a feeling of detachment from oneself, as if you yourself are unreal or even outside your body. Both of these phenomena can be mild and transient, or the symptoms can be chronic and disturbing in Depersonalization Disorder, which is considered a dissociative disorder. Not surprisingly, these dissociative states can be induced by drugs such as ketamine (a dissociative anesthetic) and hallucinogens (e.g., LSD, psilocybin). The symptoms can also be induced by stress and anxiety, or by trauma, or by sleep deprivation. Not all instances of derealization and depersonalization qualify as a disorder, however. A. An individual consistently has a feeling of both or either depersonalization or derealization. Depersonalization: Experiences of unreality, detachment, or being an outside observer with respect to one's thoughts, feelings, sensations, body, or actions (e.g.,perceptual alterations, distorted sense of time, unreal or absent self, emotional and/or physical numbing.)" Derealization: "Experiences of unreality or detachment with respect to surroundings (e.g., individuals or objects are experienced as unreal, dreamlike, foggy, lifeless, or visually distorted." D. "The disturbance is not better explained by another mental disorder." What other mental disorders can manifest as derealization (included as one of a core set of symptoms)? Among the most curious of these is an unusual neurological disorder called Kleine-Levin syndrome (KLS). Considered a relapsing/remitting disease that typically onsets during adolescence, there is no known cause, no objective laboratory findings, and no cure. In the review by Arnulf et al. (2012), episodes lasted 10-12 days on average, followed by almost 6 months of normal sleep, cognition, and behavior. The disease can resolve spontaneously once the patient reaches their 30s. Those with childhood or adult onset can show a different disease course. The review suggested that confusion, apathy, and/or derealization are the best diagnostic indicators, when coupled with recurrent hypersomnia. Are there any changes in brain activity during symptomatic periods in KLS? A Paris-based research group led by Dr. Isabelle Arnulf recently reported on a functional imaging study in 41 asymptomatic patients (Kas et al., 2014), 11 of whom were also scanned during an episode. The authors used SPECT (single photon emission computed tomography) to measure blood perfusion in the brain. SPECT is a relatively inexpensive cousin of PET scanning, albeit with lower spatial resolution. Although there is a place for SPECT in nuclear medicine, it is not accepted as a method to diagnose psychiatric disorders, and Kas et al. did not treat it as such. I found it remarkable that 11 patients were scanned during an episode, a phenomenal number considering the rarity of the disease and the nature of the presenting symptoms. In fact, two additional patients could not be scanned because they were so agitated and delusional. The patients completed questionnaires related to KLS symptoms, sleep disturbances, apathy, depression, and the Depersonalization/ Derealization Inventory (Cox and Swinson, 2002). One major finding was reduced perfusion in the general region of the temporal-parietal junction (TPJ), which was associated with more severe symptoms of derealization. The TPJ has been related to multimodal sensory integration – the integration of information from the somatosensory system (body knowledge) and the external world (visual, auditory) – among other things (like theory of mind, attention, and language). Damage or dysfunction of the TPJ can result in out-of-body experiences (Blanke & Arzy, 2005). Modified from Fig. 6 (Kas et al., 2014). Correlation between middle temporal perfusion and Derealization/Depersonalization Inventory scores during symptomatic periods. Plots show normalized brain perfusion values in (A) left TPJ region (x = 46, y = 66, z = 11, filled circles) and (B) right TPJ region (x = 38, y = 55, z = 25, open circles). Changes in perfusion between episodes were also observed (relative to controls). KLS patients showed hypoperfusion in the hypothalamus, thalamus, caudate nucleus, and some cortical association areas that persisted during asymptomatic periods. 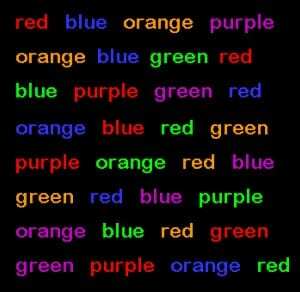 KLS patients would have symptom A, one or more of the B symptoms, and the pattern described in C.
Cognitive abnormalities such as feeling of unreality, confusion, hallucinations. Blanke O, Arzy S. (2005). The out-of-body experience: disturbed self-processing at thetemporo-parietal junction. Neuroscientist 11:16-24. 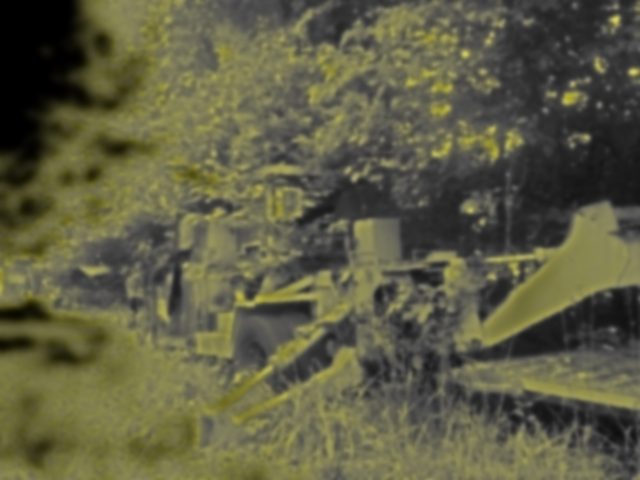 All images by the author, unless otherwise stated (CC BY-NC-ND 3.0). 2018 Was a Year to Forget. Really.